Celebrating state championships became nearly an annual occurrence for Yankton during the four years Ray Hamann starred for the Bucks. With the 6-foot-5 center controlling the middle, Yankton dominated that era of one-class basketball. The Bucks of Coach W.W. Stephenson advanced to the title game of the state tournament during each of Hamann’s four seasons. Yankton won three championships during that time. The Bucks defeated Sioux Falls 31-13 in the title game when Hamann was a freshman in 1928. They beat Madison 23-15 in the finals when he was a sophomore and downed Lead 39-17 for the championship when he was a senior. Yankton’s only loss in the tournament during that run was against Huron 17-13 in the finals when Hamann was a junior. The Bucks of 1931, during Hamann’s senior season, raced to a 31-0 record and are considered one of the state’s all-time greatest teams. Hamann also excelled in football and track. Hamann left Yankton to become a three-year basketball performer for the University of Wisconsin. As a senior in 1935 he helped the Badgers of Coach Harold Foster go 15-5. Wisconsin shared the Big Ten Conference title with Purdue and Illinois as each of the tri-champions went 9-3 in the league. The first South Dakotan to play organized professional basketball, Hamann spent several seasons as a member of the Oshkosh (Wis.) All-Stars. Oshkosh was a successful team in the National Basketball League, a forerunner to the National Basketball Association. 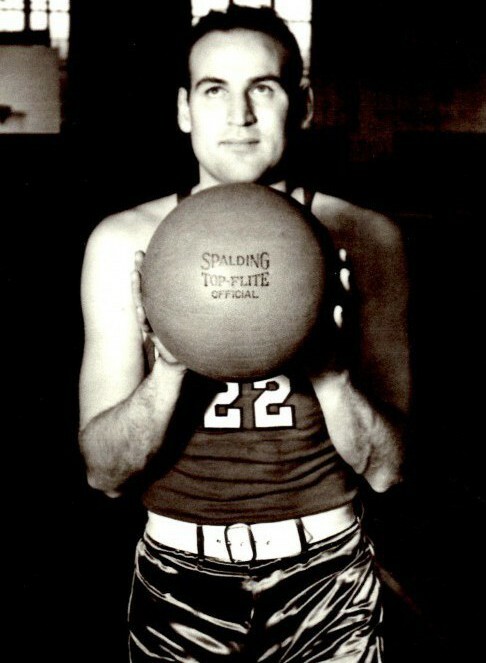 Hamann and the All-Stars won the NBL championship in 1938. Hamann enjoyed a lengthy career in education in Wisconsin as a teacher and administrator. He was an accomplished coach at Kimberly and Appleton high schools and at Lawrence University. Hamann was inducted into the South Dakota Sports Hall of Fame. He died May 7, 2005, in Yankton at age 93. Hamann was preceded in death by Eloise, his wife of 44 years, and Leora, wife of six years. He was survived by sons Howard, David and Richard.